This portrayal of "Christian" survival could not be further from the truth! Anyone who lives by the sword will die by the sword. If you live for yourself then you are not a true follower of Jesus. Tacking Jesus name on to what YOU want isn't how it works, and God is NOT in it. Very sad unbiblical view. John and Jill have finally made it home only to find their children are not in Repose. Where are they and why aren't they here? Questions are answered and new ones abound as we go back to The Day. Follow along as the Repose Alliance Group comes together to brace themselves and their community for the trials ahead. Some will thrive, some will die as desperate people begin to do desperate things. Sad commentary of UN-biblical Christianity. Misses the mark entirely. Selfish dead religion does not produce the fruit of Jesus life. Some heard a voice, others said it thundered . Those who thought they new God, were the very ones to kill Him. It is the same now, the ones who condemn this story as heresy, and worse. Those with soft hearts and the willingness to step out of the boat, to "take, kill, and eat" even when there is no scriptural precedence, but the contrary, will be the ones that hear HIS voice, and are changed- To the glory of Jesus! This book breaks through the barriers that man has falsely imposed through man made religion. God said against His own word, " Take, kill, and eat"
I guess He can do that... HE is God! On an island teetering at the brink of anarchy, Daria finds hope among people of The Way. 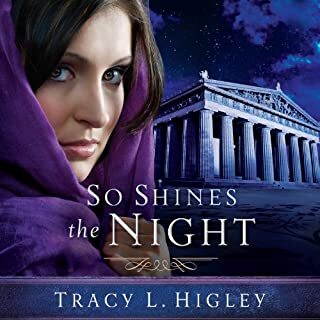 She escaped a past of danger and found respite in beautiful Ephesus, a trading center on the Aegean coast, serving as tutor to Lucas, the wealthy merchant who rescued her. But the darkness she fled has caught up with her. The high priests of Artemis once controlled the city, but a group of sorcerers are gaining power. And a strange group of people who call themselves followers of The Way further threatens the equilibrium. Would you listen to So Shines the Night again? Why? Yes, the author brings a perspective of what life might have looked like for Believers in Ephesus. Daria, not only is she the central character but her character can be found in any one of us. She does a good job in creating a unique voice for each character. No extreme reaction, but another good story that takes place in historical times (57 AD) and specifically during times in the early church with the first Believers. Unfortunately, the author misunderstands how the first Christians lived in her characterization of the "church." 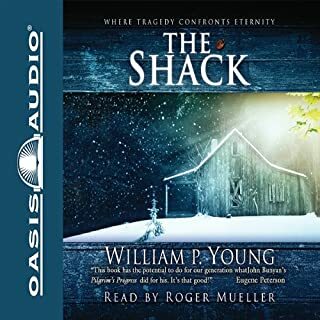 The author takes the current, predominant view of "church" created by man (e.g., congregation, meeting on Sundays, house church) and places them into a historical time (i.e., Ephesus). If the author had taken time to research how Christ's Church looked and functioned historically instead of only researching Paul and Ephesus, the few characterizations and descriptions she used for the "church" could also be historically accurate along with the remainder of the story. A phenomenon known as crustal displacement shifts the Earth's crust, repositioning continents and causing countless deaths. In the wake of the global catastrophe, the world struggles to take care of its displaced billions. But Antarctica, freshly thawed and blooming, has emerged as a new hope. Rather than wage a world war no nation can endure, the leading nations devise a competition, a race to the center of Antarctica, with the three victors dividing the continent. 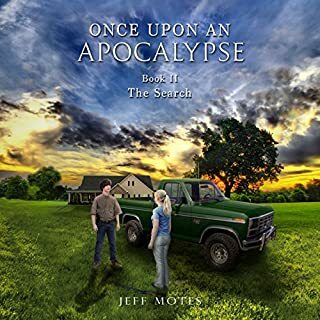 Enjoyable tale of apocalyptic disaster. 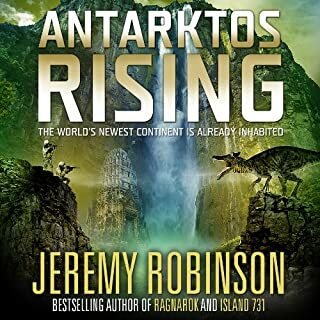 What disappointed you about Antarktos Rising? Up front, I acknowledge that I researched this author prior to beginning to listen to this story. Therefore, I knew the author's beliefs and stance from the beginning. Overall, I was disappointed by the author's use of profanity and of lustful statements to tell a story. 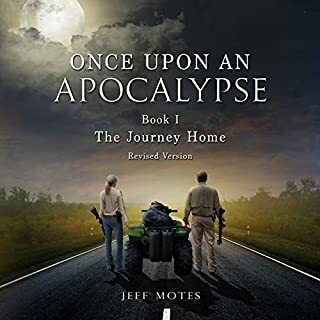 The author claims to be a "Christian" (see Jeremy Robinson's responses to FAQ on his webpage); therefore, I gave his story a try (plus I enjoy science fiction). Unfortunately, by the author's own story writing and claims on his webpage, he is comfortable walking in and being associated with the world and it's ideologies while proclaiming to be a follower of Christ. This attitude goes directly against what the Word says and apostles teach (1 John 2:15-17; Ephesians 5; 1 Corinthians 10). Nothing from Jeremy Robinson, unfortunately. I didn't get far enough into the story to claim a "favorite scene"
What character would you cut from Antarktos Rising? I didn't get far enough into the story to fully, completely identify the characters. I know the author makes known his ideology and beliefs; however, the author needs to seriously examine himself and test his life in light of claiming to be a follower of Christ (2 Corinthians 13).